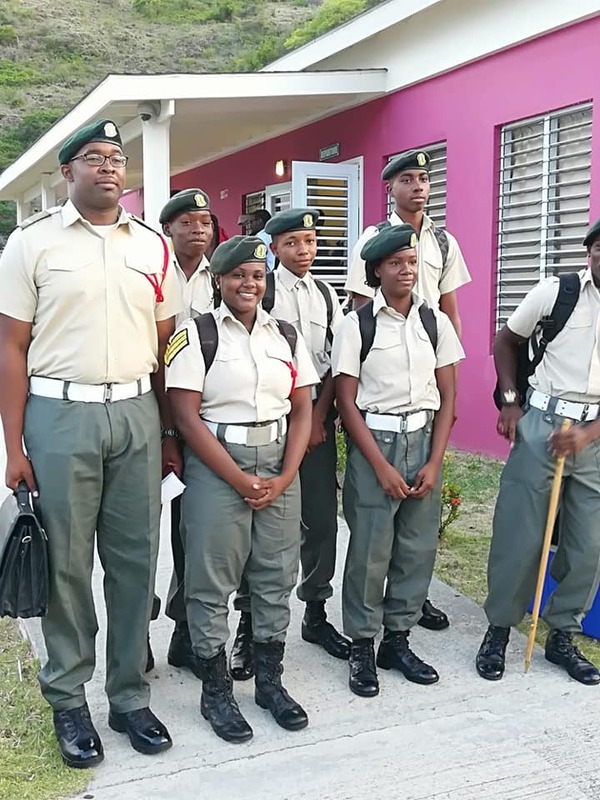 A seven-member contingent from Montserrat Secondary School Cadet Corp are currently in Barbados to attend the Caribbean Cadet Camp from Aug. 5 to 18. More than 200 cadets from Antigua and Barbuda, Dominica, Barbados, the British Virgin Islands, Cayman Islands, Montserrat, Jamaica, St. Lucia, St. Vincent and the Grenadines, Trinidad and Tobago, and Turks and Caicos are participating in the camp. The highlights of the two-week camp include a 7K relay race on Aug. 12, and a drill competition on Aug. 16. As part of the planned social programme cadets will get an opportunity to observe Grand Kadooment today along with an island tour. Cadets attenting the camp will join the Barbados Defence Force in celebration of its 30th anniversary at a service on Aug. 12; as well as at the anniversary parade on Aug. 18. RMDF photo of the MSS Cadets who left island Sunday for the Caribbean Cadet Camp in Barbados.